Sometimes the best accessory a girl can wear is a fresh, clean face glowing in all its stupendous glory! A good skin care regime can keep your skin looking its best (check out my article on Go-To Skin Care for all the details) and then all you might need is a little touch of makeup. Most days I love just a little BB cream or foundation with a brush of mascara. I recently found myself running low on my favourite mascara and foundation, so I knew it was time to stock up on some Clinique goodies. 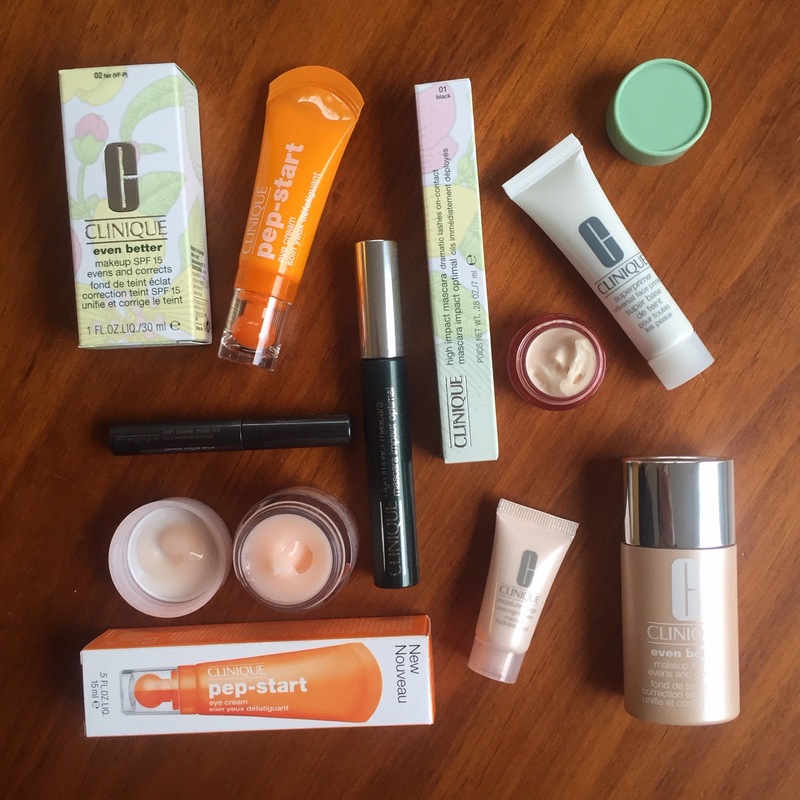 I had always purchased my makeup in store but discovered on the Clinique website that you can get a bunch of free treats with every order – #winning! 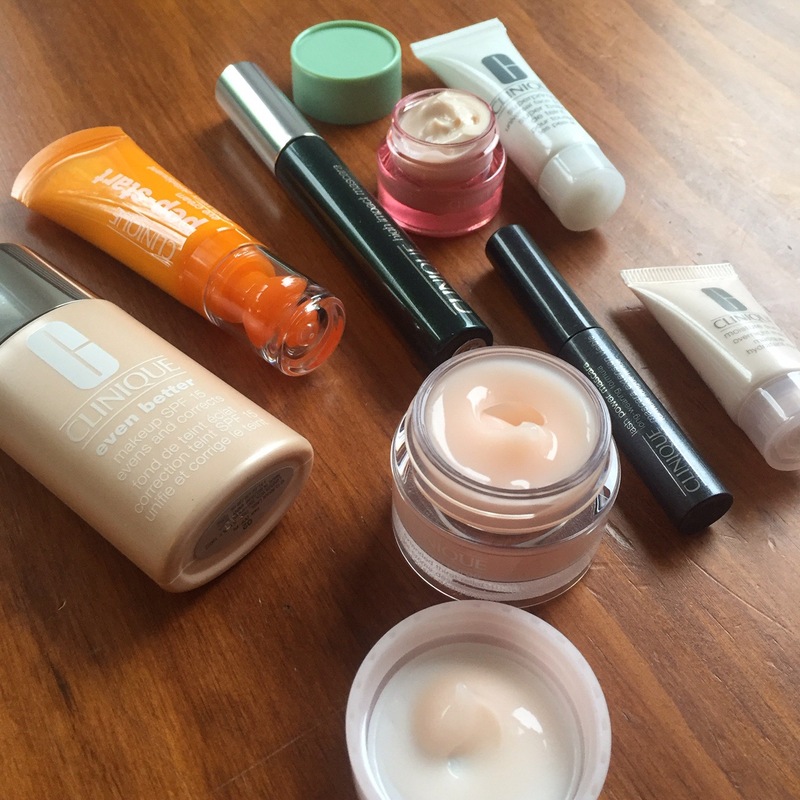 Foundation: I first started using Even Better Makeup SPF15 foundation after a skin match at Sephora in Hawaii. My shade is Fair (02) and I like how this top selling foundation sits lightly on my skin while still effectively covering any blemishes or redness. It’s subtle enough though that it doesn’t mask all my freckles which are one of my favourite features! Mascara: “Lusher, plumper, bolder lashes for a dramatic look.” Umm, yes please! I decided to branch out from my regular mascara to try the High Impact Mascara in black for a bit of extra volume. This is a great mascara for a special look, creating a really bold eye. Eye cream: The new Pep Start Eye Cream seemed to tick all the boxes. It promises to brighten, hydrate and perk you up in a matter of seconds. It has definitely become a regular feature in my morning routine. Mini mascara: One of the free treats I chose with my order was a small version of my favourite mascara – the Lash Power Mascara Long Wearing Formula in black onyx. I was converted to this mascara after it was recommended by beauty expert Zoe Foster Black as being a great smudge proof, tubular mascara. Tubular mascaras last for a long time and can be removed with warm water. I am a massive fan as my naturally longish lashes tend to leave smudges under my eyes with standard mascaras. Mini primer: My second sample was the Universal Face Primer which can be used as a base for your makeup. It works beautifully with my foundation and effortlessly keeps my face in place throughout the day! Moisture kit: I also got a free Skin Concern Solution Kit with my order and went for the Hydrating Solutions pack. The little skincare pack came with samples of the Moisture Surge range and a sample of foundation. I have been using the Moisture Surge eye cream at night and the Pep Start Eye Cream in the morning.